Marvel’s Guardians of the Galaxy Vol. 2 is set for one of the largest wide releases in U.S. history this weekend, as the latest entry in the iconic Marvel Cinematic Universe hits theaters Thursday night. 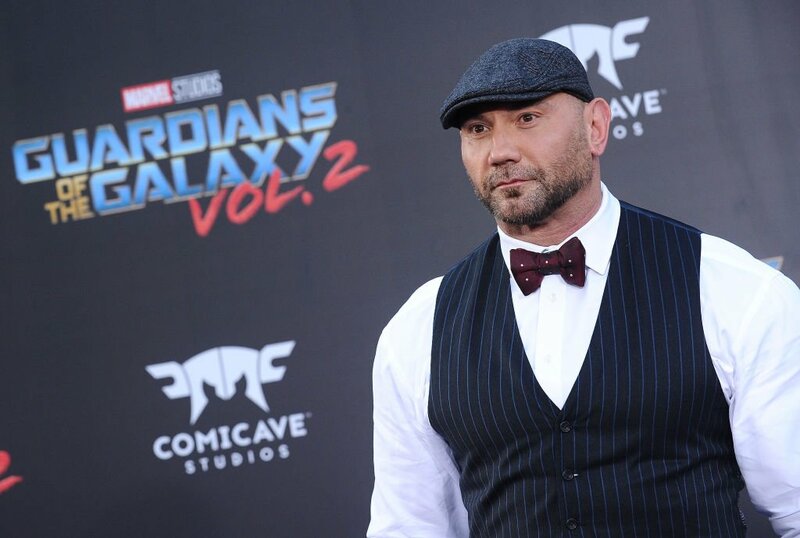 While the original Guardians represented a massive launching point for Dave Bautista, former WWE wrestler turned Hollywood stand-out, this film is poised to be the highest grossing project of his entire career. In simpler terms, the six-time world heavyweight champion has made it. Guardians 2 will be opening in 4,347 theaters across America this weekend, making it the 11th widest domestic release of all time, the 10th widest opening weekend of all time, and the third biggest release for the Marvel franchise; only The Avengers and Iron Man 2 were shown in more theaters. Experts are projecting the film to bring in between $140-160 million domestically before the weekend comes to a close, with some optimistic it could pass $170 million. No matter the final number, it will definitely crack the franchise’s top five opening weekends, an impressive achievement for a series that has raked in over $11 billion to date, and stands as the highest grossing franchise in cinematic history. Moving outside of the Marvel Universe, there is a very good chance Guardians 2 could move into rarified air with some of the highest grossing opening weekends of all time. Bringing in more than $152.5 million would put it in the top fifteen, passing up The Hunger Games, while generating more than $166 million would unseat Batman vs. Superman Dawn of Justice to take its place in the top ten. Internationally the film is off to a great start, opening to more than $106 million in just ~58% of the international market last weekend, with numbers continuing to hold steady throughout the week. Those numbers are expected to skyrocket in the next two weeks as Marvel launches in major markets including Japan, China, Russia and Korea. In terms of total worldwide gross it’s far too early to make any accurate predictions. Numbers will greatly depend on how much staying power the film has, and how favorably it performs with critics and fans alike. Guardians 2 is already “Certified Fresh” on Rotten Tomatoes, aggregating at 84% currently. The average score for RT is holding at 7.1/10, which is consistent with its Metacritic score of 67, indicating “generally favorable reviews”. At the end of its run, the studio is hoping to hit the magic $1 billion mark worldwide, something they’ve achieved on four outings with Iron Man 3, Captain America: Civil War, The Avengers, and The Avengers: Age of Ultron. It will run virtually unopposed during its release as the first major Hollywoood “Summer Blockbuster” of the year. It’s second week will see minor competition against King Arthur: Legend of the Sword and the latest Amy Schumer film Snatched, but should easily maintain its position at #1. The rest of the month gets a bit more tricky, with Ridley Scott’s Alien Covenant, The Rock’s Baywatch, and a new Pirates of the Caribbean movie on tap. For Dave Bautista, the offers will only continue to pour in. The Guardians will be featured in next year’s massive Avengers: Infinity War and Big Dave has already shot his scenes for this year’s Blade Runner 2049, currently in post-production, with another three more projects on his list. As noted, Guardians 2 is on track to be the highest grossing film in his already impressive resume, with only the 2015 James Bond installment Spectre standing in its way at $880.7 million worldwide.